We know that some parts of the country are more vulnerable to disasters than others, and some communities suffer repetitive losses over the years. The article provides an amazing amount of detail, via data and maps, showing where those events and losses have occurred in the U.S.
From the NY Times: The Places in the U.S. Where Disaster Strikes Again and Again. Update on May 29: After trying several times to print out a useful copy of this excellent article, I contacted the NY Times. They did not provide much help, but perhaps a reprint could be ordered. I did learn that some articles appear only in their digital version of the paper and not in the hard copy. Good to know for future reference for the researchers out there. The current issue of the Coast Guard’s Journal of Safety and Security at Sea. Proceedings of the Marine Safety and Security Council features articles on the National Strike Force, but there are a host of other great articles on related topics in the issue. For a free copy (and a free subscription) of the Proceedings click here. The Proceedings is a nice, slick-paper magazine issued quarterly. The current issue is 98 pages long. Definitely a “keeper” for your library. 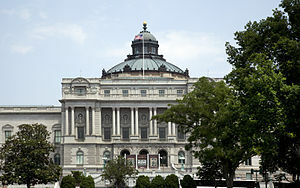 I recently attended a local book fair and chatted with some of the staff of the Library of Congress. One interesting resource I discovered is their LOC service that provides copies of Historic American Newspapers. I have not yet used it, but it would be a useful source for those doing research on historic disasters. As a disaster historian, I welcome this resource. Council on Foreign Relations, How Likely Was Hurricane Sandy. Some really chilling scientific research and dire warnings about the likely frequency of future hurricanes with the same path. Hurricane Sandy in perspective, in HSWired, November 2,2012. Excellent article that provides a wealth of historic and scientific knowledge useful to our current efforts on determining H. Sandy’s place in context of U.S. disaster experience. Comments from Dr. Roger Pielke, Jr. (Univ. of CO). Insightful article from a Columbia profession in CNN today. New York’s Neglected Infrastruture Fails. happened in other places hit by freakish weather events — the infrastructure wasn’t robust enough to withstand nature. It is not the first time it’s happened here, and it won’t be the last. latter will always lose out. And that’s not just the view of the politicians, but also of the constituents who keep them in office. Surprising Data on Tornado Deaths in U.S. Since 1925. In the weather section of the Washington Post, on June 15, 2011, there was an interesting write up of the deadly tornadoes in 2011 and how problems remain, even with the advent of radar and better warning systems since 1925. See the article : Shocking: Tornado death rates in 2011 return to pre-1925 levels. I just located the original NOAA briefing materials, titled Spring 2011: A season of U.S. Climate and Weather Extremes (June 15, 2011; 14 pages). I highly recommend reading the full report.